The Solstice product team is hard at work on some exciting, highly-requested new features and capabilities. Check out the upcoming product developments below which are due for release this Spring. Miracast and Extended Desktop Support. Solstice will support Miracast streaming, including the ability for users to leverage Miracast’s extended desktop capability. HTML5-based Digital Signage. The Solstice welcome screen will soon be able to show any HTML webpage, allowing customers to design a webpage to appear on their Solstice displays or show an existing HTML5 digital signage webpage. Solstice Kepler Monitoring and Analytics. Monitor your Solstice deployment with ease and gain valuable insight into how your meeting rooms and technology are used. These new developments expand Solstice’s use-case support, offer better integration with existing room technology, and generally help our customers make their meeting spaces and technology more productive. Want a sneak peek? Join Mersive at Enterprise Connect in Orlando, March 12-14 to get an early preview of some of these developments ahead of the public release. The Mersive team is back from Amsterdam where we had a record-setting ISE! We gave over a thousand product demos, publicly debuted Solstice Kepler, and took home the ISE Best of Show award for the second year in a row. Thanks to all who joined us and helped make the show such a success. Like what you saw at ISE? Request a 30-day Solstice Pod demo or sign-up to join the Solstice Kepler beta program. The Mersive team is excited to be exhibiting at Enterprise Connect and will be showcasing our latest enterprise-focused product developments. Stop by the Mersive booth #927 to find out firsthand what makes our award-winning product the most enterprise-ready wireless content sharing solution available. Save $500! 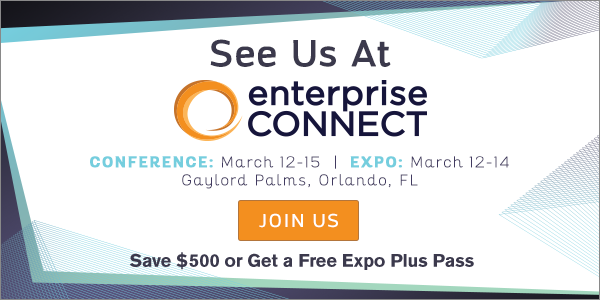 Use code MERSIVE when you sign up to save $500 off the current admission rate to Enterprise Connect. Be sure to schedule a demo or stop by Mersive booth #927 anytime to see the latest additions to Solstice. Solstice version 3.2 adds product support for 5 new languages (French, Italian, German, Spanish, and Chinese Traditional), expands the Solstice OpenControl API, and includes enhancements to the Solstice Dashboard. Mersive customers with current Solstice software maintenance can update their Solstice Pods and Windows Software licenses to version 3.2. One year of maintenance is included with the original purchase of Solstice. To find out if your software maintenance plan is active, please contact Mersive. Updates for Solstice user apps, the Solstice Dashboard, and SDS are free.